The condition of women in Ethiopia and the importance of education were the main themes of the project carried out by SCT Centre in Wuchale, Ethiopia within the framework of the CIFA (NGO) “Tutte a Scuola” program. Its main beneficiaries were women, students and community leaders. 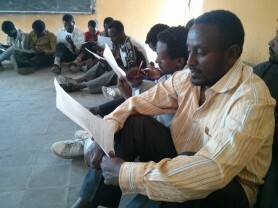 The main goals of the project include community development and teaching the local population about discrimination, exploitation, gender violence and the significance of education. 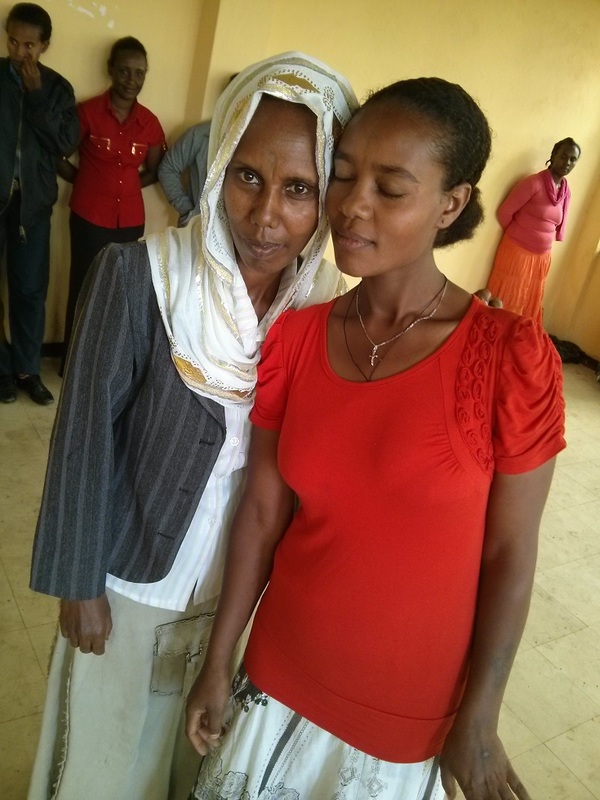 Sponsors- The project was realized by SCT Centre in collaboration with CIFA (Italian NGO) and Integrated Family Service Organization (Ethiopian NGO – IFSO). These two NGOs have been working and operating in Wuchale for the last six years. 1 group of local trainers. 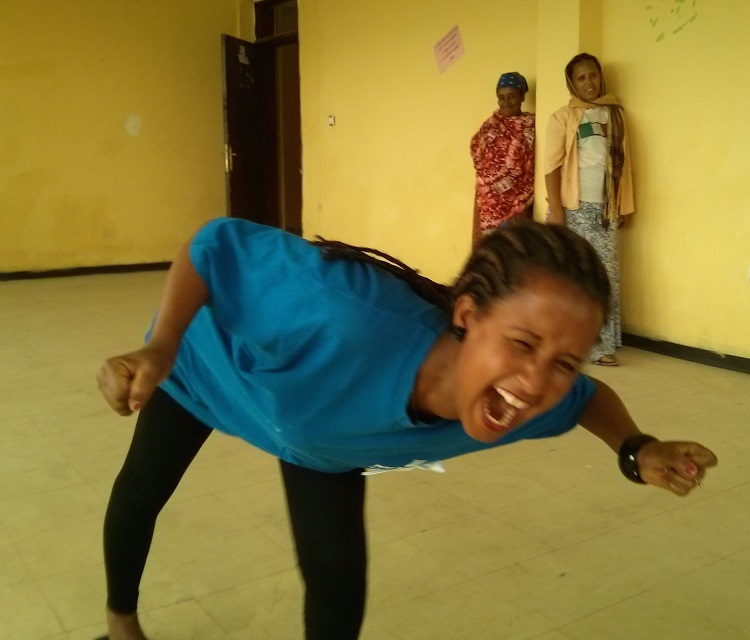 The project was realized through the use of social theatre workshops. 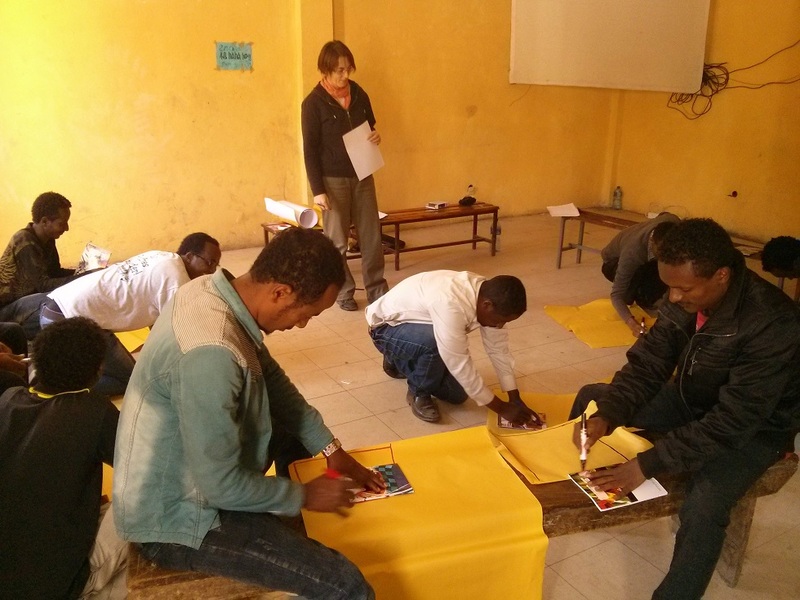 During the first phase, each group focused on common topics such as body awareness, non-verbal language, relations between body and emotions, couple and group relations, as well as trust and creativity. 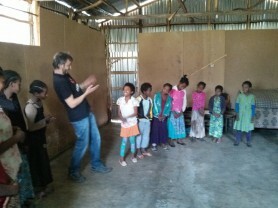 The second part of each workshop was adapted to fit the specific needs of each group accordingly. Female Secondary School Student Workshops- The workshops for female secondary school students, although condensed, were useful in establishing first contact with locals and meeting with local culture. It was also effective in forming a better understanding of the children and teenagers, as well as providing structure for the teacher training workshops to follow. Teacher Training- The highlighted topics during teacher training included: critical learning, creativity as a tool for teachers and learners, awareness of body and environment, as well as comprehension of students’ needs. Women’s Training- The main objective was to get local women to speak regarding women’s conditions in Wuchale and start upon a path of sharing and empowerment within the group. 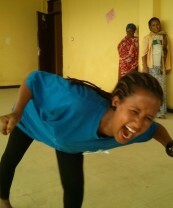 Narrations of participants’ experiences were achieved through theatrical exercises in which the main language was the body. Body language was chosen, as this method enables instant communication without the need of oral translation. Men and Women’s Training- People with leading roles in the community took part in this training workshop. Community problems and discrimination against women were the topics emphasized. The objective of the workshop was to let these topics emerge and lead onto a path of sharing and empowerment within the group. 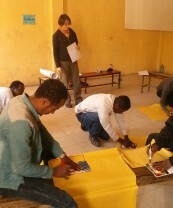 Instructor Training- The training of instructors was aimed at raising awareness and empowerment of key people within the community regarding the importance of the active participation of all community members, especially with regard to women, in the process of development and growth in the development of Wuchale and its surrounding area. Final Event- A video projection of our activities was organized and shown to the local community (link). The video documents the topics which emerged during the training and the experiences of the participants. It has since been widely utilized in local schools and the community, serving as an instrument for sensitization to women’s conditions in Wuchale. the main, indirect beneficiaries were IFSO members (6 people) that collaborated in the project implementation, gaining valuable practical experience. creativity as a tool in the learning process. Interviews conducted at the end of each group’s training highlighted that a process of real change had begun. Participants had internalized what they had experienced during training and they also expressed the desire to further deepen the topics addressed, also recognizing the usefulness of their new awareness in everyday life. Following the positive effects of SCT activities in Wuchale, the collaboration between SCT Centre, CIFA and IFSO continues to grow. Two new projects are currently in the planning stages. The first concerns the area of Wuchale, where it is hoped to activate a two-year project serving as an extension to the work achieved in 2014. The second proposes that SCT Centre share its methodology with Wollo University in Dessie, by creating an international team of teachers, students and local staff.